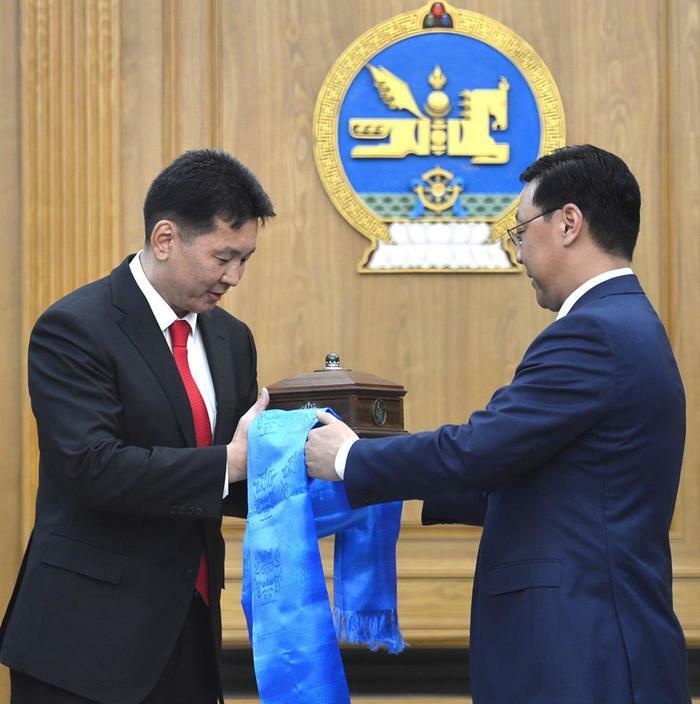 Mongolian MPs have backed U.Khurelsukh as the 30th Prime Minister of Mongolia. In the important session of the State Great Khural, MPs voted by 61.8 percent to approve U.Khurelsukh's appointment. The session was attended by 47 out of the 76 members; as we have reported the 30 MPP members who signed the letter calling for PM J.Erdenbat and his cabinet to be dismissed were absent. U.Khurelsukh served as Deputy PM under J.Erdenbat. Earlier this month, lawmakers demanded that former Prime Minister J. Erdenebat resign for allegedly violating parliamentary procedures through the granting of contracts worth the equivalent of 328 million U.S. dollars to companies linked to three cabinet members.